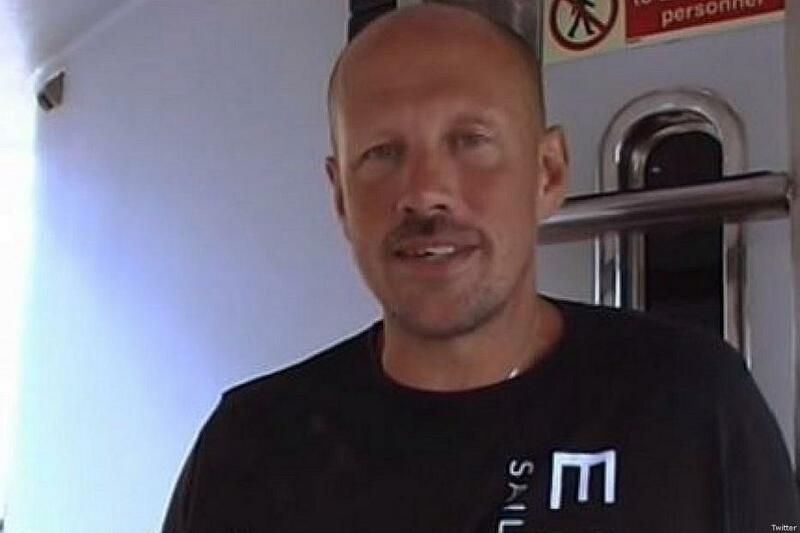 A prominent Swedish Christian-Zionist, Stefan Abrahamsson, (pic above) announced yesterday that he will sail his yacht to Israel in protest against the Freedom Flotilla that tried to break the naval blockade of Gaza earlier this month. Abrahamsson announced that his yacht will sail from Gothenburg in Sweden to Herzliya, just north of Tel Aviv, carrying around 40 pro-Israel supporters to “show solidarity” with the State of Israel. The yacht, called Elida, will set sail on 25 August and is predicted to arrive in Israel in October, the Times of Israel reported. The send-off is expected to be attended by Lars Adaktusson, a Member of the European Parliament (MEP) for Sweden. The move comes only a week after the Freedom Flotilla, composed of two ships from Norway and Sweden, were intercepted in international waters while trying to break Israel’s siege of Gaza. The ships – called Al-Awda and Freedom – were carrying dozens of pro-Palestinian activists as well as vital humanitarian aid and medical equipment to be given to residents of the besieged Gaza Strip. The activists on board were met with violence from Israeli naval forces and were eventually deported from Israel. One of the activists on board Al-Awda was founding trustee of Medical Aid for Palestinians (MAP) Dr Swee Ang who, in a personal testimony, described how Israeli forces tasered and beat the ship’s first mate, Charlie, confiscated the activists’ mobile phones and strip searched the crew before detaining them in Givon Prison, near Ramleh. Another activist on board, Divina Levrini, was denied access to her medication. Christian-Zionist support for Israel has been longstanding, particularly in the US. This group forms a large support base for President Donald Trump, and is thought to be the key domestic consideration in his decision to move the US embassy to Jerusalem in December and guarantee millions of dollars in US military aid to Israel. This entry was posted in News and politics and tagged Christian Zionist, Knucklehead, protest against Freedom Flotilla, US Embassy to Jerusalem. Bookmark the permalink.